Oh my, I love these! LeeEvans331 much too good to share! Just hide them and eat them yourself! I used to love these as a child! This is a great excuse to try them again! And even have some left over for the kids party bags. Great with free delivery too. You love these when I was going to school. Thank you so much for sharing this good deal. Wow, that is a really good price. Thank you very much for sharing. 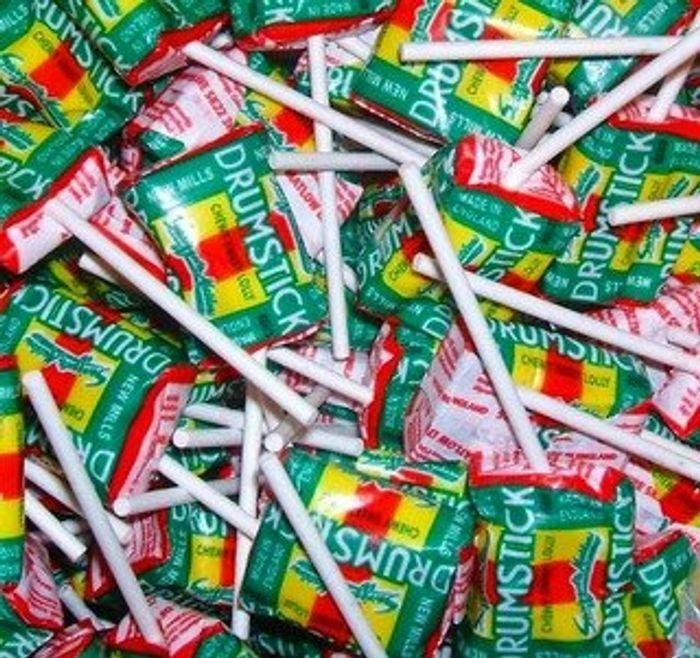 Partner & I have loved Drumstick Lollies since our childhood.. This will be great for when it’s the children’s birthday and they take sweets to school Fab. Thanks. For that price how can anyone say no? Thanks for sharing. They contain gelatine, so I guess vegetarians and vegans would still say no. Very nice - I think I'll stock up! Good find and offer - thank you for sharing. I just recieved my lollies and they are dated for june 2020! Great deal!